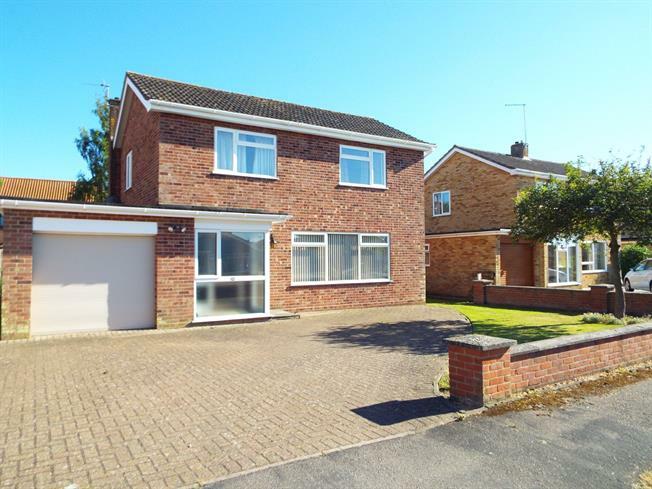 3 Bedroom Detached House For Sale in Thetford for Asking Price £220,000. This spacious detached family home boasts a kitchen breakfast room and a sitting dining room, both excellent for entertaining. There is a useful utility room and w.c. Plus a personal door from the utility room into the attached garage with remote door. The addition of the conservatory makes a delightful extra reception space. There are three bedrooms and a shower room to the first floor. The outside space comprises ample parking to the brickweave drive and gated access to both sides of the property, leading to the pretty well stocked garden to the rear. The timber shed and greenhouse are also included in the sale.